With the accusation of coup-monger, you can send someone to prison; while if you call someone a toad, you are revealing their lack of values. Discrediting as a political weapon does not need any proof or reasoning. Just put a label, repeat it a thousand times and appeal to lower passions. Surely the immediacy, massiveness and low transparency of social networks contributes to a wider dissemination, but this phenomenon is as old as humanity. Smear campaigns have served to destroy the reputation of many people, as well as to turn them into pariahs, enemies or targets for continuous violent attacks. Describing people as “CIA agents,” “communists” or “counter-revolutionaries” served in the Cold War to send thousands to jail or death. Nicaragua included. As Roitman says “the motto was clear: slander justifies death and brakes wills. Sowing confusion and doubt are good material to cut the tree that provides a shade.” (La Jornada, April 2, 2005). Since five months ago, discrediting in Nicaragua has multiplied: “vampires, blood suckers, delinquents, vandals, minuscule, toxic souls, small human beings, plagues, wretched souls, mediocre, relegates, garbage dumps of history, diabolical, sinister, satanic, cowards, residue, insignificant, caricatures, ghosts, and little things” are part of the handsome arsenal of epithets that Vice President Rosario Murillo, in representation of public power, has launched against the population that exercise their right to protest and demand their basic freedoms. Other slander is simply considered as a psychological projection of their own behavior and their main fears. For these the old and familiar Mexican saying applies: “little bottle, little bottle of sherry, everything you tell me will be reversed.” And perhaps the most significant aspect of this projection has been the recent appearance of the accusation that the people who are in the opposition are “somocistas” and the call for the reappearance of Rigoberto Lopez Perez (who killed the first Somoza), slogan painted on banners used by new groups of “praying people” located at traffic circles, who are paid with public funds. Actually, what these insults reveal is an old rule of slander and discrediting applied to the political arena: when you become aware that the adversary is superior and you have everything to lose, then you proceed in an offensive, vulgar and outrageous manner. That is, you go beyond the subject of the discussion (since you already lost the game) to the person of the adversary, who is attacked in any way possible. In fact, it is common for atrocious regimes to use dehumanizing tactics such as pejorative names, degrading conditions and comments that exploit suffering. All these tactics are aimed at activating some kind of mental switch to reclassify an individual from a person to a “non-person,” thus making it easier for some to torture or kill others, removing them from their moral circle. That is why we see more people than we would like, prescribing “plomo” (bullets) or El Chipote [the infamous interrogation and torture prison] as the most normal thing in the world. The label of terrorist or coup-monger, however, have a different connotation. Although they have been re-appropriated by the citizenry as a proud symbol of opposition, they have a terrible practical consequence. And that is because of the absurd, illegitimate and malevolent law passed by the Ortega regime, as well as by the interpretation and unpredictable application by its justice system. To be labeled a terrorist and a coup-monger is enough to imprison and prosecute anyone who protests, becoming after the murders and kidnappings their most effective weapon of repression. Apart from “blubber-lipped” and “hairy armpit” [which in Spanish rhyme] used for the presidential couple, the most significant is that on the opposition side the “insult” with greater consensus against the followers of the regime is “toad” (“sapo”). I am not talking about accusations of murderers, criminals, liars, genocidal killers, wicked, cynics or “somocistas” used against the perpetrators and those responsible for the repression. All of them are descriptions of behavior, perfectly checkable and verifiable based on objective facts. I am referring to an insult for those that with their silence or support have become accomplices. I have asked myself where it comes from and what is the connotation of being a toad. It is clear that despite its important environmental services, the toad can be considered an ugly or even disgusting animal. But, apparently, it has more to do with being a snitch, gossip, meddler, troublemaker, servile, unreliable, and a person capable of selling his mother to safeguard his own interests. With this in mind, I reflect about the contrast in the ethics of both worlds: with an accusation of coup-monger, you could send someone to prison or death. While if you call someone a toad, you are simply revealing the lack of values and principles that afflict a portion of our society. Going forward, an urgent task in building a climate of democratic coexistence for our country will be to widen the moral circle or empathy described by the Australian philosopher Peter Singer. He refers to the ability to treat the interests of others by comparing them to our own interests. This capacity in less evolved societies is restricted to the narrow circle of our families, friends and those who think like us. The rest are treated as subhuman, and therefore any behavior against them is acceptable. To expand the circle of empathy one must be exposed to reliable information, quality education, constant interaction with others and exemplary public figures. Only in this way can we break the vicious circle of polarization that at this moment plunges us into mourning. 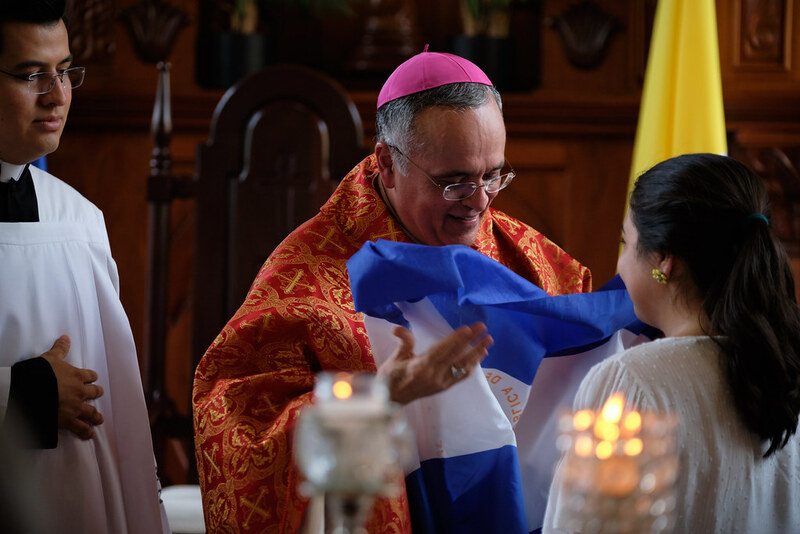 Then, we can stop being considered as coup-mongers or toads, and instead be free Nicaraguans, with opportunities for all.